High torque and low noise. Ball bearing, with cooling fan. 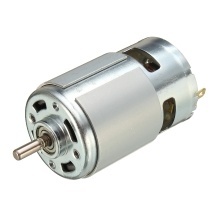 Used in electric tool motors, power is very large, you can make a small spindle motor, and is also suitable for DIY aspect. Used for electronic game machine, electronic toys, car toys, robot, electronic equipment, etc.